Description: Shied-shaped pin. 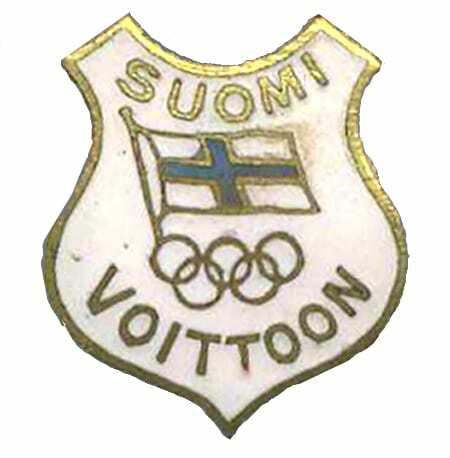 On a white field the Finnish flag, the Olympic rings and the text SUOMI VOITTOON [Finland to Victory]. Needle on the back.